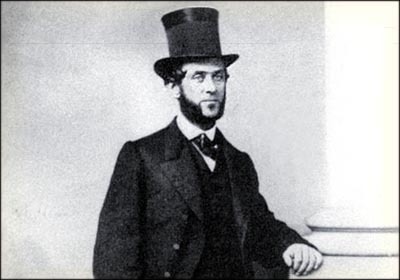 In the spring of 1848, a fellow named Samuel Brennan was about to become the first millionaire of the California Gold Rush. But Brennan didn’t own a single gold mining claim. Nor would he ever mine for gold himself. Instead, Mr. Brennan became wealthy by supplying the California Gold Rush with literal picks and shovels. And, in doing so, he went down in economic history. 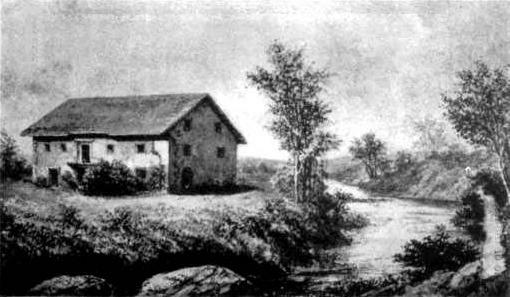 You see, Mr. Brennan owned the only supply store between San Francisco and the newly discovered gold fields. And after first learning about the new discoveries, Brennan immediately went around buying up all the picks, shovels, pans, and other necessary supplies for gold mining he could find to stock the store. Brennan also owned the only newspaper in San Francisco. So he planned to first buy up the picks and shovels, then widely publicize news of the new gold discovery in his paper to spur sales at his store. It worked... but not without a hiccup. You see, before Brennan could print news of the discovery, all his workers had left to search for gold themselves. This time it worked without a hitch. According to one eyewitness, there were no more than 20 men were left in San Francisco after that. Brennan reportedly paid $0.20 a piece for gold pans. Then sold them at his store for $15.00. As a result, Mr. Brennan made $36,000 in nine weeks! Inflation-adjusted, that’s over $1 million. He recognized an incredible opportunity very early on: not mining the gold, but mining money from the hopeful miners. And he almost singlehandedly shaped our perceptions of “pick and shovel” investing. Today there's a new gold rush rapidly unfolding. And there are miners who are going to need picks and shovels. Bitcoin has already returned some investors' gains up to 20,000%. And while I think it's unlikely Bitcoin can go up another 20,000% from here, there are still massive opportunities in the “picks and shovels” of Bitcoin. You see, Bitcoin needs to be digitally created. 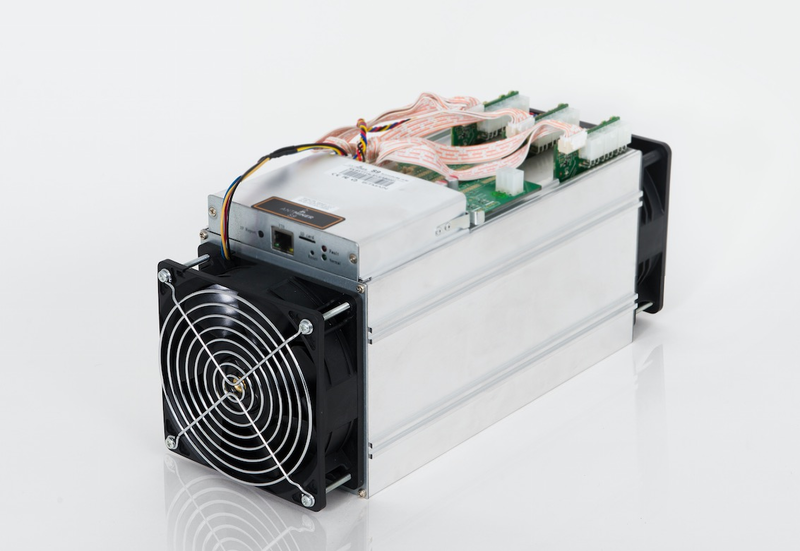 Bitcoin is created when it is electronically earned (or “mined”) using specialized hardware, generally called “miners.” Among the most popular digital currency miners on the market today is Bitmain's Antminer S9, shown below. This hardware solves highly complex mathematical calculations to confirm previous Bitcoin transactions. As a reward for this service, the owner of the mining hardware earns a transaction fee in the form of new Bitcoin. This is essentially how new Bitcoin is created. These devices are the "printing presses" of the digital currency revolution. But a single one of these units doesn't create very much Bitcoin. People need dozens, even hundreds to thousands, of these things running 24/7 to earn any real money. 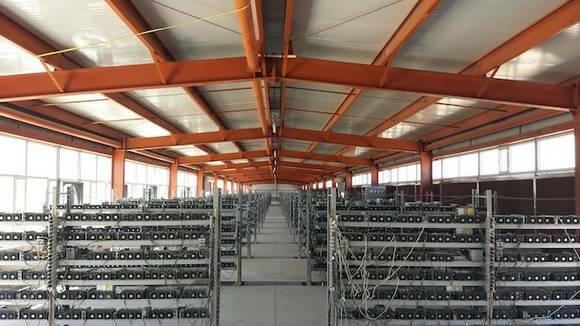 As a result, there are warehouses filled with nothing but Bitcoin miners. Want to Keep Gold Suppressed? Find out why a renegade investor, who has made his readers multiple three-digit returns in the last few months, says the banking elite is opening up the most exciting opportunity for you to get really rich in the next 24 months. With his strategies, you could easily and quickly leverage the upcoming bull market in gold and profit $3–$4 for every $1 move in gold. "I don't like or suggest options or futures, and anyone trading currencies deserves what they get! Still, I can show my readers how to leverage gold and silver without any of those risky instruments." Click here to get all of the details. Bitmain, and others like it, are private companies. There are no publicly-traded companies that focus specifically on producing Bitcoin mining hardware. We simply can't invest in them. You see, the most important feature to the mining hardware is the semiconductor chips inside. 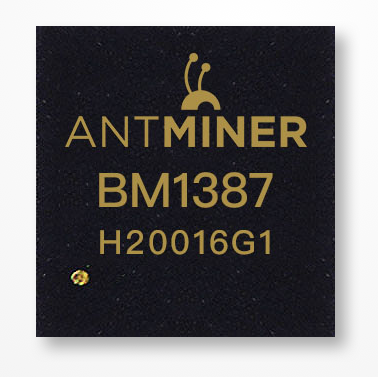 Bitcoin miners use what are called application-specific integrated circuit (ASIC) chips. These chips are absolutely vital to the mining hardware. They are essentially the brains of the whole operation. ASIC chip manufacturers currently include firms like Analog Devices, Inc. (NASDAQ: ADI), Maxim Integrated Products, Inc. (NASDAQ: MXIM), and Qualcomm Inc. (NASDAQ: QCOM). But I've found one company that produces nearly 80% of all the ASIC chips that are going into these miners. It doesn't matter whether the price of Bitcoin or other digital currencies goes up or down; the system will always need these ASIC chips. So the companies that create these special chips are in a great position. Bitcoin and cryptocurrency miners are creating money. And owning ASIC chip manufacturers is akin to owning the most important part of the digital "printing presses." I need to wrap it up for today. But if you're interested in learning more about this ASIC chip stock, just click here. As an editor at Energy and Capital, Luke’s analysis and market research reaches hundreds of thousands of investors every day. Luke is also the investment director of Angel Publishing’s new Secret Stock Files newsletter, which helps investors leverage the future supply/demand imbalance that he believes could be key to a cyclical upswing in the hard asset markets. For more on Luke, go to his editor’s page.